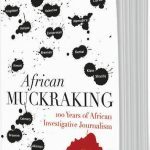 The below is Alex de Waal’s “Introduction” to African Muckraking, edited by Anya Schiffrin with George Lugalambi (Jacana Media, 2017). When we think about media coverage of famines, images of starving African children come to mind. A Google image search for ‘famine’ or ‘starvation’ confirms how ubiquitous these images are. By far the single most common pictures that pop up are hungry African children. You will also find images of droughts and deserts, illustrations of the Great Famine in Ireland and distastefully posed, colonial-era, black-and-white photographs of famine victims. Very few of the images show war or deliberate starvation. The Google results, of course, reject the most common narrative about famine in Western media. In mainstream reportage, famine is treated as a natural disaster arising from Africa’s drought- stricken natural environment, along with the self-indicted curse of overpopulation. Epidemic disease is given much the same treatment: Western news coverage describes it as if it simply arises from the miasmas of Africa’s forests, in a context-free vacuum. The real causes of famine and epidemics are far more complicated, and have much more to do with politics. At the very least, political decisions shape them, and at most they actually create them. But public recognition of these elementary truths is remarkably hard to achieve. That difficulty, in turn, has consequences: without public recognition of the politics behind disease and famine, it is harder to hold leaders accountable, or indeed to take any measures – beyond the purely technical or charity-minded – to mitigate future disasters. We know from the work of Amartya Sen and others, that an independent and active media is essential to early warning of crisis, prompting governmental action, and pressing for accountability after disaster has struck. Journalists bear the burden of explaining the context of disease and famine to the public. As the Google search proves, the most heavily consumed media in the West have typically misled viewers and readers on this task. But there are many instances where journalists, and particularly African journalists, have superbly explained the political causes of catastrophe, even as they document its unfolding. This section highlights several such works. It is remarkable how deeply the facts about famine have been buried in the popular narratives. The journalists who successfully report on African famine must, in effect, constantly shovel themselves out from beneath these faulty narratives every time they write. Doing so requires skill and a deep understanding that famines in the industrial era are, as a rule, manufactured (or at least human-enhanced) calamities. There was a time, two centuries ago, when food security was often driven by the weather and other environmental determinants of agricultural production. But for well over a century, the ecology of starvation has been driven by military policy or political recklessness. As the background dataset for my book, Mass Starvation, I compiled a catalogue of every case of famine or forced mass starvation since 1870 that killed 100,000 people or more (so-called ‘great famines’) or one million or more (‘catastrophic famines’). There are 58 episodes in this list, which in total killed a minimum of 105 million people. The biggest killers were the vast political famines, among them the Gilded Age famines in the emergent world (aptly called ‘Late Victorian Holocausts’ by Mike Davis); the Great War famines in the Middle East, including the forced starvation of a million Armenians; the Russian Civil War famine of 1919–1921; Stalin’s starvation of Ukraine during 1932–1934 (now known as the Holodomor); the Nazi ‘Hunger Plan’ for the Soviet Union; the Chinese Civil War famines and the starvation inflicted by the Japanese in World War II; and Mao’s ‘Great Leap Forward’ famine of 1958–1962, the single largest famine on record, which killed at least 25 million people. About two-thirds of famines are directly caused by war, and half of the remainder are the product of reckless policy decisions by dictatorships. The four famines recognised by the United Nations in 2017 fit this description precisely: north-eastern Nigeria, Somalia, South Sudan and Yemen were all war-stricken, and only in Somalia was drought-related production collapse a contributing factor. At the time of writing, the largest famine is in Yemen, and its biggest cause is a blockade enforced by Saudi Arabia and the United Arab Emirates, supported by the warships and diplomats of the United States and the United Kingdom. The Gulf-led air campaign that has systematically destroyed Yemen’s infrastructure has made the hunger worse. Yet Western public appeals for Yemen do not, mostly, focus on antiwar mobilisation. Rather, they call for more charitable work. Nowhere is the blindness to context in famine reporting more pervasive than in Africa. This is in part a relic of colonial times. For two centuries or so, Western documenters of Africa treated the continent as a place where indigenous human endeavours were subordinate to the jungle, and (as in Asia), Malthusian population theory provided an alibi for disasters generated by imperial conquest, by the convenient myth of blaming the victims for ‘overpopulation’. The colonisers’ erasure of Africa’s history and agency endures still, and directly affects the reporting on famine in the 21st century. Little has changed in the popular imagination since the elegant deconstruction of the 1980s imagery of African famines by David Campbell and his collaborators on the ‘imaging famine’ project. The association between Africa and famine has become so powerful that if an episode of mass starvation occurs in another continent, some writers resist calling it ‘famine’ because it is insufficiently ‘African’. Yet about two-thirds of the famine deaths over the last 147 years were in Asia, about 20 per cent in Europe and the USSR, and just under 10 per cent in Africa. The predominance of African disasters in the global litany of famines is a recent one, dating back only to the 1980s. Consider the case of the child deaths in Iraq in the 1990s, which numbered up to 300,000, and which meet every definition for ‘famine’ (albeit in a manner that has led Haris Gazdar to call it a ‘postmodern famine’). Nonetheless, the journalist Sarah Graham- Brown argued in 1999 that ‘the cry of imminent famine in Iraq has been used too often,’ and that it ‘conjures up images of an Ethiopian or Somali-type situation which are not substantiated’. The reality, she wrote, was ‘excess deaths’ owing to ‘moderate-to-acute levels of malnutrition and vulnerability to disease’ due to structural problems in the health, water and sanitation sectors. But famine by any other name is still mass death from hunger – or if you will, mortality due to acute malnutrition and disease susceptibility brought on by inadequate food consumption. Thus, ‘famine’ has become a shorthand for African starvation, which is presented as having natural causes exacerbated by warlordism and misgovernment. The popular imagination about epidemics suffers from many of the same problems – even as the political ecology of infectious disease has followed the same historic trajectory as famine. For disease, too, environmental factors are now secondary to political causes. Human populations are vulnerable to epidemics of communicable and vector-borne diseases, which are collective threats rather than weapons. But political factors are prominent in creating susceptibility to epidemics, and driving the responses to them. Thus, the Ebola epidemic was ultimately the product of the disruptions to West Africa’s ecology caused by the expansion of commercial agriculture into forest zones, and the belated international response was a mixture of the heroic, the incompetent and the irrelevant. The US response was led, absurdly, by the 101st Airborne Division: it was good only for television pictures and political gesturing in Washington. Other major global disease threats such as influenza, HIV/AIDS and multi- drug-resistant tuberculosis all arise from varying mixes of disrupted ecologies and weakened global surveillance and treatment systems. Yet the greatest bestowal of resources to the US public health system has been in response to fears of bio-terrorism. The US-led militarisation of global public health is not only wasteful but also in contradiction to the studied positions of all global health experts. Disease is still, in the public imagination, a matter of individual misfortune rather than a political scandal. In the realm of public health, as with food security and famine, the politics of suffering is either concealed, or our attention is distracted by dramatic responses by charity workers and soldiers. The best journalists, like those featured in this section, have helped to overcome these misunderstandings. When writing for African audiences, their work may be slightly easier – those proximal to the crises often have a greater basic awareness of their political context. But reporting the truth about why people die from hunger and disease is always difficult and often dangerous work, as it often exposes the complicity and culpability of the powerful in mass tragedy. Thankfully, there are those like Mohamed Amin, Omololu Falobi, Charles Wendo, Janneke Donkerlo, Francis Mbala, and Ohemeng Tawiah who have been ready and willing to lead the way. Q J. Econ. 2002. ‘The political economy of government responsiveness’. Available at: https://doi.org/10.1162/003355302320935061 (accessed on 15 June 2017). Besley, Tim & Burgess, Robin. 2012. ‘The political economy of government responsiveness: Theory and evidence from India’. Quarterly Journal of Economics. Nov 1. Davis, Mike. 2002. Late Victorian Holocausts: El Niño Famines and the Making of the Third World, London: Verso. De Waal, A. 2014. Demilitarizing Global Health. Boston Review, 11 November. http://bostonreview.net/world/alex-de-waal-militarizing-global- health-ebola (accessed on 30 August 2017). De Waal, Alex. 2017. Mass Starvation: The History and Future of Famine. Cambridge: Polity. ‘The End of Famine.’ Medford, Massachusetts: World Peace Foundation. The Fletcher School, Tufts University. http:// fletcher.tufts. edu/World-Peace-Foundation/Program/Research/Mass-Atrocities- Research-Program/Mass-Famine (accessed 30 August 2017). Garfield, Richard. 1999. ‘Morbidity and mortality among Iraqi children from 1990 to 1998: Assessing the impact of economic sanctions’. Goshen, IN: Institute for International Peace Studies, Univ. of Notre Dame, and the Fourth Freedom Forum. Available at: http://www.imaging-famine. org/ (accessed 30 August 2017). Gazdar, Haris. 2007. ‘Pre-modern, modern and post-modern famine in Iraq, 1990–2003’, in S Devereux (ed). The New Famines: Why Famines Persist in an Era of Globalization, London: Routledge. Graham-Brown, Sarah. 1999. Sanctioning Saddam: The Politics of Intervention in Iraq. London: IB Tauris, p 318. Richards, Paul. 2016. Ebola: How a People’s Science Helped End an Epidemic. London: Zed Books.